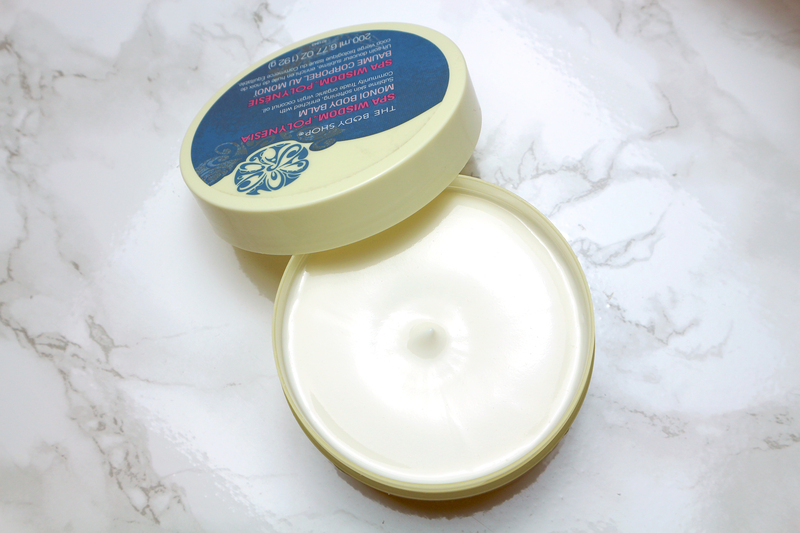 The Body Shop Spa Wisdom Polynesia Monoi Body Balm is a winter must have as well as my favourite body butter. Words can’t express how much I love it. It is simply the best! Unfortunately, it is also a product of Spa Wisdom Polynesia, a discontinued range. The range’s monoi oil (another favourite) was rebranded and incorporated in to a new line, Spa of the World. Sadly, my beloved body butter did not make the cut. The Body Shop must have a vendetta against me, as the brand appears to be ditching all the products and ranges I love! 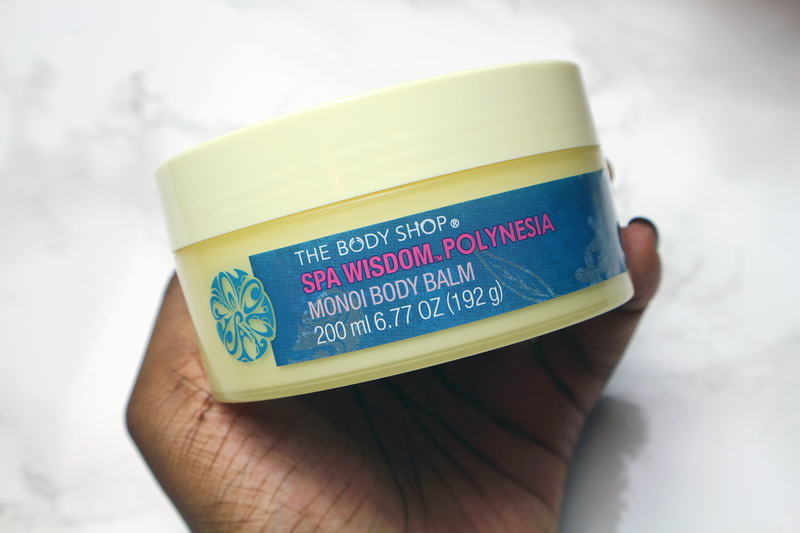 Luckily, The Body Shop Spa Wisdom Polynesia Monoi Body Balm is still available in The Body Shop’s outlet store in Wembley (London, United Kingdom). I believe a 200ml tub is £5.00. My last visit saw me go a little crazy, purchasing six! 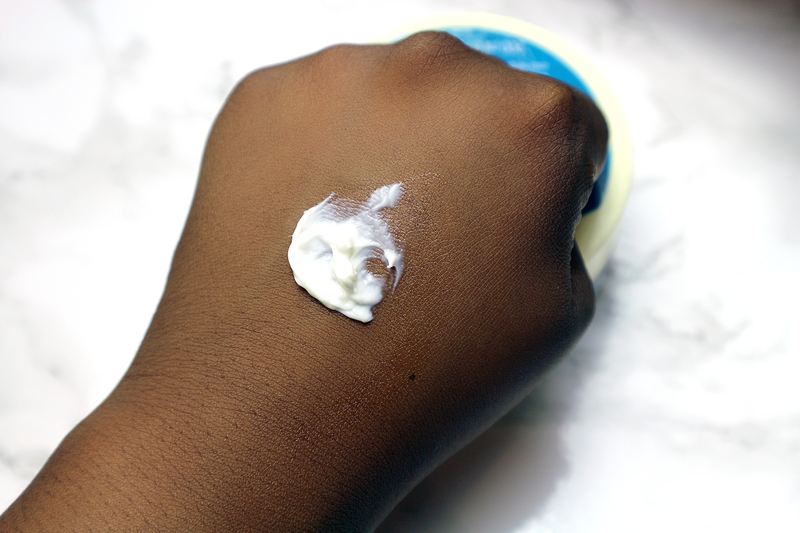 The hunt for the perfect winter body butter is extremely difficult as most are too light for the harsh cold. I have tried everything and nothing compares to The Body Shop Spa Wisdom Polynesia Monoi Body Balm. The Body Shop Spa Wisdom Polynesia Monoi Body Balm smells phenomenal; it is sweet but also quite floral. Its quality exceeds all of The Body Shop’s body butters; I guess this is why it is marketed as a “body balm”. I prefer to apply it after a hot bath or shower. It leaves my skin smelling good and feeling incredibly soft. 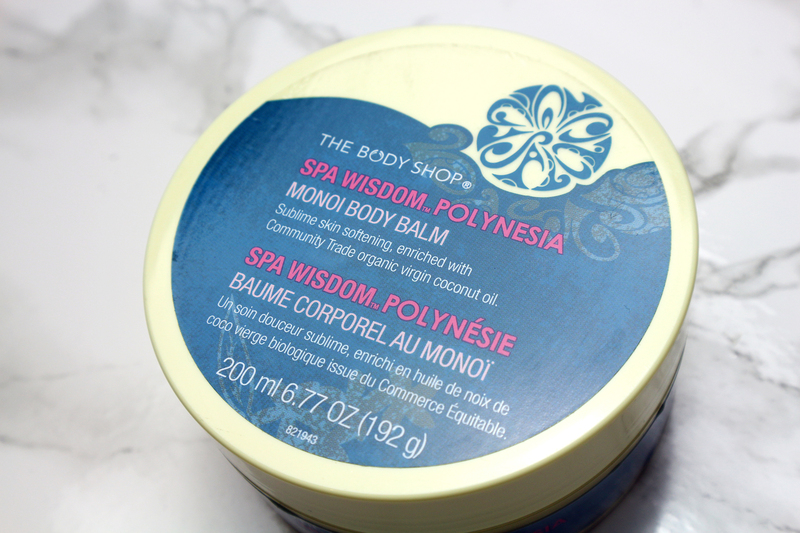 The Body Shop Spa Wisdom Polynesia Monoi Body Balm will keep your skin moisturised all day! If you can find it, buy it and say goodbye to dry itchy skin!